The 3D Lens in a Cap is a body cap for SLR cameras with interchangeable lenses. 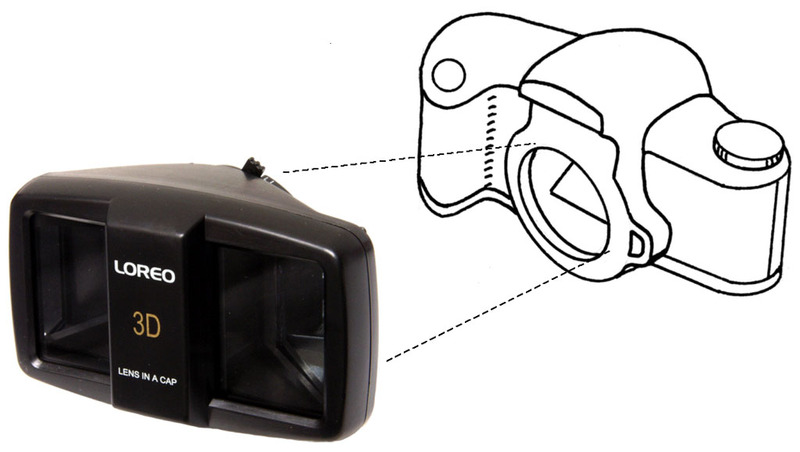 The 3D body cap turns a standard or digital SLR into a 3D camera. SLR cameras have accurate viewing, exposure control and a wide range of shutter speeds. Some SLRs have auto TTL flash. With the Loreo 3D Lens in a Cap, all these features are harnessed to produce excellent 3D prints or digital images. The processed 3D prints are ready for viewing with our 3D print viewers. They can also be viewed on computer screens after scanning or if received in computer file format. 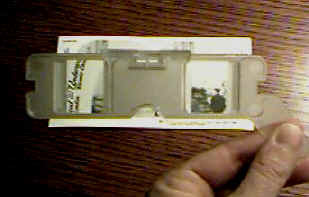 This attachment produces side by side images like in the old stereoscopes. No special processing is needed simply process as normal 35mm print film and receive side by side prints. For the technically minded the 3D Cap has a matched pair of focusing lenses, focusing range from one meter to infinity. F/11 lenses, focal length 38 mm. 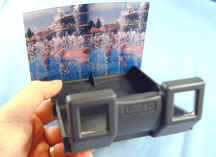 The 3D Lens in Cap forms a 3D effect by transposing two images. It is a self-contained, integrated beamsplitter and lens system that mounts directly onto the camera body and does not need any supporting lens. This means that it does not work with SLRs which do not have interchangeable lenses, such as the Olympus E series digital cameras. It is available with most common mount types – Canon EOS, Canon FD, Nikon, Olympus, Minolta AF, Minolta MF and Pentax K. Users of digital SLRs will usually need to get the 3/4 (T) variety. Please see the specification page to double check which Digital lens in a cap is correct for you. Note to SLR Digital Users! All lens in caps now come with cover! The different prices below are for different style viewers.